Now, let us tell you about some of the other enticing extras that will be revealed when you open the box. 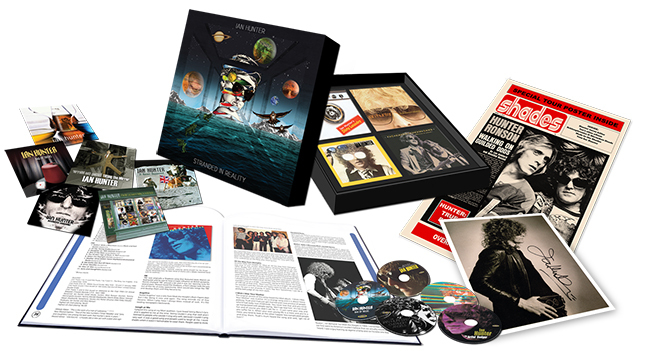 All illustrated with stunning artwork, several rare and previously unseen images, many donated by Ian from his personal collection, record sleeves, promo material and memorabilia. An unissued archive black and white reproduction print, taken at the 1976 All-American Alien Boy sessions for Philip Hays’ album artwork, personally signed by Ian Hunter. Click the image below to view some example pages from the book. 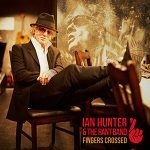 Ian Hunter’s new studio album, Fingers Crossed, featuring the single Dandy is out now and available from Propermusic, Amazon and iTunes. Pre-orders via Propermusic will also receive an exclusive, non-album MP3 download track.